The Multivend is an electronic washroom vending machine designed to be versatile and elegant. This multi-option vending machine allows customers to sell up to nine products. The Multivend is fully automatic and has a digital display indicating price, stock availability and service requirements. This dispenser can be wall-mounted and it is fully programmable to dispense a wide range of leading brand name consumables. 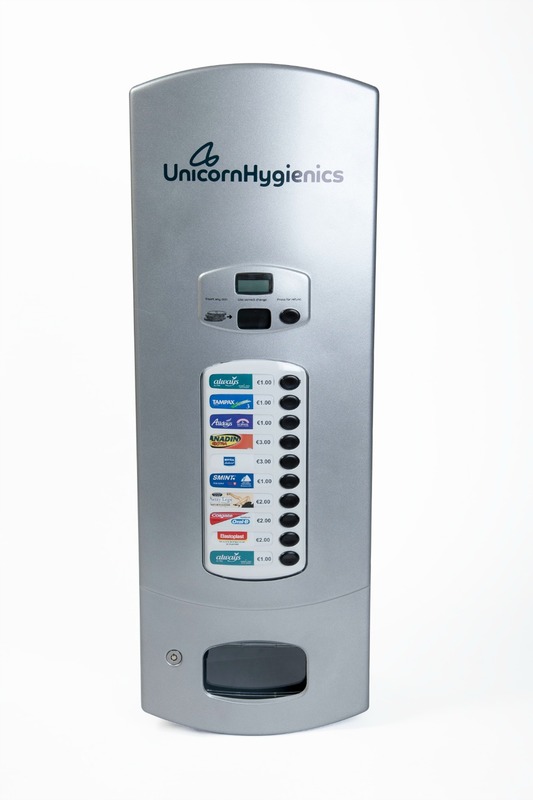 All our washroom vending machines come with an installation and operation manual. Training courses are available under request.